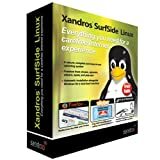 Shop for Xandros Linux software. 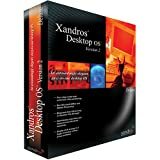 Xandros Desktop – Home Edition Premium is a complete desktop operating system that also includes the applications needed to work, communicate and play. Combined with the secure Linux platform, the included Xandros Security Suite eliminates viruses, spyware and other security threats completely from your PC. Browse the Web, e-mail friends, IM, chat and make Internet phone calls. Listen to music, organize playlists and sync your iPod. Download and edit photos. Create albums to print or post to the web. Connect to wireless networks and hot-spots anywhere with ease. With no Linux experience or technical knowledge required, Xandros Desktop is fun and easy to use.